1751 Paul Saunders was admitted to the freedom of the Upholders Company. 1759 John Mayhew went into business with William Ince in Broad-street, Soho, taking over the former premises of Charles Smith, who was said to be ceasing this line of business. 1763 Charles Smith is listed as an upholder at The Late-Play-House, Lincoln’s Inn Fields, London for this year and again in 1765.3 At some point, perhaps immediately after vacating his Broad-street premises, he entered into a partnership with John Trotter Senior (of Frith-street) and George Smith Bradshaw. 1779 William Moore, a former employee (possibly apprentice) of the firm of Mayhew and Ince9 in London is said to have set up in business in Waterford, Ireland in this year. 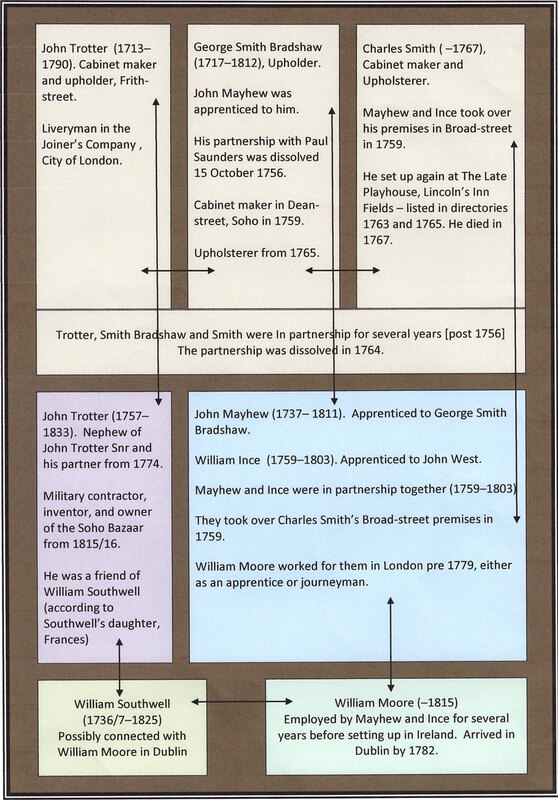 1790 John Trotter Senior died. 1812 George Smith Bradshaw died, age 95 at Pershore, Worcestershire. 1 The London Gazette (9628), 19 October 1756, 2. 2 The Public Advertiser, 27 January 1759. 4 The London Gazette (10411), 21 April 1764, 3. 5 Appendix 1: The Soho Tapestry Makers, Survey of London: volumes 33 and 34: St Anne Soho (1966), 515-520. 6 The National Archives, Kew: PROB 11/927. 7 T W B Kendall and T Cann Hughes (1935), The Rolls of the Freeman of the Borough of Lancaster 1688–1840. George Smith Bradshaw had taken over control of the business of his kinsman, William Bradshaw, as early as 1743 when the latter purchased the manor of Halton, near Lancaster, and retired there. George Smith Bradshaw was named by William Bradshaw as one of his executors in his will, proved in 1775 (The National Archives, Kew: PROB 11/1008). 8 Paul Saunders will, The National Archives, Kew, PROB 11/970. 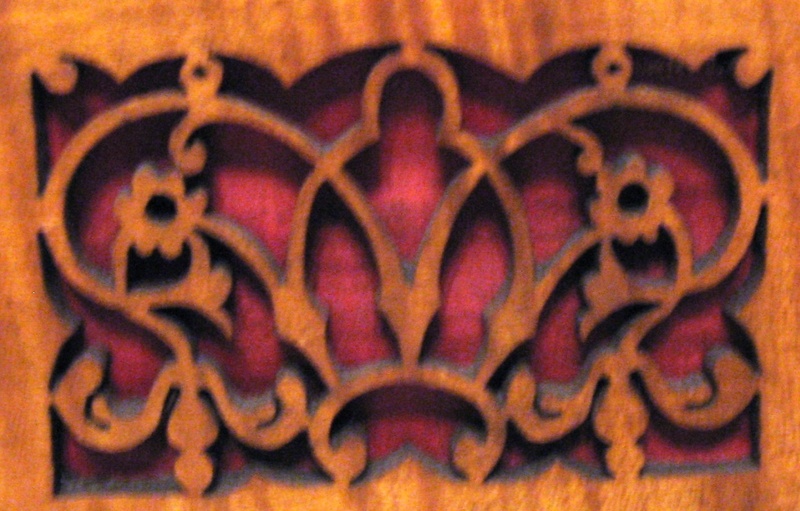 9 In 1782 Moore placed an advertisement in which he ‘hopes from his long experience at Messrs. Mayhew and Ince, London, his remarkable fine coloured woods, and elegant finished work, to meet the approbation of all who shall please to honour him with their commands’. (The Dublin Evening Post on April 16, June 6, and July 11, 1782, cited by The Knight of Glin and James Peill, 2007, Irish Furniture, 163).